While all eyes are on NAFTA, Canada is trying to move quickly on trade in the Asia-Pacific, with decisions on a China free trade agreement and an updated TPP coming this fall. Diversifying trade with market access in Asia would offer major opportunities to Canadian business, say experts, and send a signal to the United States that while the North American Free Trade Agreement is important, Canadian exports can go elsewhere. 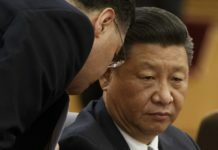 “The reality of the world is China is unavoidable. China’s part of our life whether we like it or not,” said former Quebec premier Jean Charest, who helped get the European Union on board with trade negotiations. He noted the president of Mexico also recently expressed interest in a trade deal with China. Charest said he thinks the relationship should be intensified but Canada might not be quite ready for a full-fledged free trade agreement. “I think (the government is) right to be cautious. They obviously are sensitive to public opinion in Canada, and public opinion is fickle on this issue,” he said. Not everyone is keen on China. Conservative Party leader Andrew Scheer has publicly nixed the idea, and public polling shows mixed views. 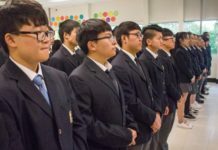 An Asia Pacific Foundation poll in late March found 55 per cent of Canadians support a deal, 36 per cent oppose and nine per cent don’t know. By contrast, an Angus Reid Institute poll released Thursday finds 29 per cent support, 31 per cent oppose and a full 40 per cent don’t know. The polls were both taken online, with margins of error of 2.4 and 2.5 per cent respectively. If Canada launched trade negotiations with China it would be the first G7 country to do so. 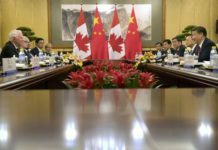 This might give Canadians a better deal, said Yves Tiberghien, director emeritus of the University of British Columbia’s Institute of Asian Research and a senior fellow with the Asia Pacific Foundation. “The worst situation is to be a late mover,” he said. “We lose out eventually.” Tiberghien predicted others may soon line up: the United Kingdom, for example, will be looking for big trade partners after its exit from the European Union. 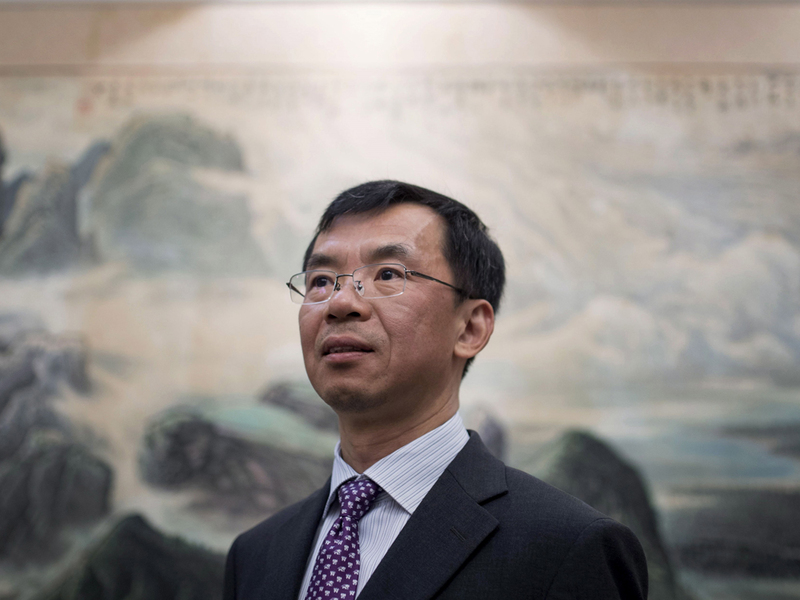 According to a Canadian government official familiar with the matter, formal exploratory talks with China wrapped up in July. Officials are crunching numbers and are expected provide analysis to trade minister François-Philippe Champagne before the end of the month. Cabinet could be discussing a decision by October, and Champagne could be on his way to China in December if there’s a green light, the official said. Do it carefully, and not too quickly, said Phil Calvert, a career diplomat who, before culminating his career as ambassador to Thailand, Cambodia and Laos, spent three postings in Beijing and acted as director general for North Asia. He said he thinks the government is “positively inclined” to launch negotiations but it will be complicated. “(Chinese President) Xi Jinping is talking about presenting China as a leader in promoting globalization and open markets, but it’s still hard to do business in China and there’s still a lack of transparency, domestic regulations and a lot of challenges that the business community finds difficult,” Calvert said. International Trade Minister Chrystia Freeland speaks with Canadian and International reporters at the G20 Leaders Summit in Hangzhou, China, on Monday. Said Houlden, the Chinese may bicker on restrictions in oilsands investment, in restrictions on bids from state-owned enterprises and on a lack of infrastructure to get Canadian energy to Asian markets. Calvert added access to the high-tech sector and removal of anti-dumping measures, such as on steel products, are also a big deal for China. On the flipside, Canada will want growth in services trade and the removal of technical barriers to trade — assurances, for example, that Chinese regulatory barriers don’t spring up over agricultural products. The Liberals also want gender, environment and labour standards written in. Meanwhile, concerns persist around Chinese acquisition of potentially sensitive technologies, as it drives to modernize its manufacturing industries. The Liberals came under criticism from an American watchdog recently, for example, after approving the Chinese takeover of a British Columbia tech firm, Norsat, which produces military technology for the U.S. 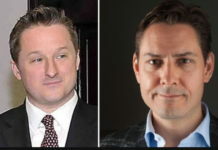 Experts concur talks would likely take multiple years to complete, probably past the next federal election in October 2019. A trade deal with China is not the only iron in the fire. A Trans-Pacific Partnership sans Trump is shaping up in earnest, spearheaded by Japan and Canada. Officials are expecting a road map for an agreement will come alongside an Asia-Pacific Economic Cooperation summit in November. The expectation is this would take months, not years, said the official. The TPP had been signed but not ratified when U.S. president Donald Trump decided to pull out at the beginning of the year. A rejigged version would give Canada access to the markets of Japan, Australia, New Zealand and seven other countries, including NAFTA partner Mexico. It is said parts of the TPP text may be used as blueprints in an updated NAFTA. Charest, who also acts as an honorary chair of a new Canada-Association of Southeast Asian Nations business council, said they’ve concluded a study that says Canada should pursue greater ties with that group, too. Unlike the TPP, it includes Indonesia, the fourth-most-populated country in the world. Canada is also nearing the conclusion of a foreign investment protection agreement with India.